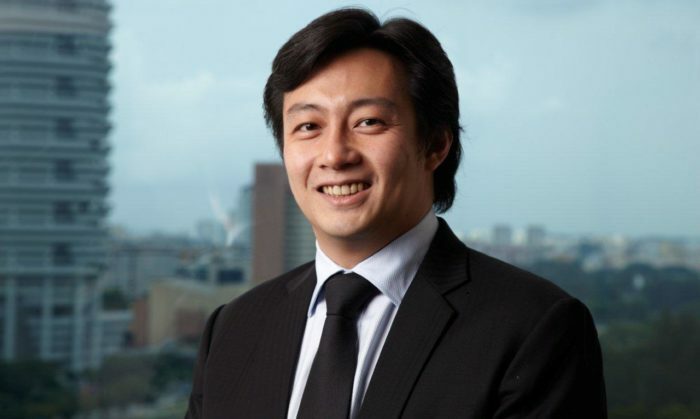 Liquid Pay’s founder and CEO, Jeremy Tan (pictured) possess a dynamic background in the financial technology industry, having launched, co-invested, built and divested multiple technology companies in the past decade. Headquartered in Singapore, with a presence in Malaysia, Indonesia, Thailand and Hong Kong, Tan is currently CEO of mobile payment company, Liquid Group. He also serves as Honorary Secretary in SGTech (previously Singapore infocomm Technology Federation or SiTF). Prior to that, Tan was on the board of Infocomm Investment (now SGInnovate) as well as Infocomm Development Authority of Singapore (IDA) where he also served on the Investment Committee. In this edition of Tech in check, Tan shares with Marketing the obstacles and opportunities around digitalisation in his line of work. More than a decade ago, we came up with a solution to help telcos top up their customers’ prepaid cards using terminals rather than using traditional scratch cards. We used terminals that dial up to a host which we developed, that authorises sale of blocks of airtime credits. At that time, over the air top-up using dial-up terminals was deemed to be the way forward, circumventing production and distribution cost of physical scratch cards. Marketing: What was your biggest tech booboo? We underestimated the speed of digitalisation. It is not appropriate to mention the specific example as it was done together with a large client. But a similar situation would be : Imagine you had to design an e-payment solution for financial inclusion, for use in rural areas. You can find examples of how feature phones or SMS-based payment solutions are working in various markets, as well as how certain areas barely have 3G, let alone 4G or 5G. Now you know that the cost of smart phones are dropping and that telcos are rolling out faster data networks, do you build a solution for today or tomorrow? We had to quickly write off what we did and adopt new platforms and implementations. The hardest decision is given the newer, faster, cheaper platforms out there, how does one digitalise existing systems, decide what to keep, what to migrate and to what platforms. The cold lesson is that tech change is relentless and unforgiving. And some times, the best tech does not prevail. While one cannot get it right all the time, we must know quickly when we are going down a dead end and change fast. The biggest challenge today remains digital adoption. There are different levels of digital adoption across the world, and within Singapore, how can we get people who are not digitally-savvy or resistant to technology to want to embrace new technology and this way of life – outlining that the pros outweigh the cons in doing so as with digital payments and e-wallets, where there is actually greater convenience, ease of use and security. Digital transformation is the epitome of uncertainty and it pushes people out of their comfort zone. But this is now a requirement and it is vital to keep up with the times as not changing is far riskier. For companies in particular, the management is unable to take away this uncertainty and discomfort from employees, but they can definitely alleviate by being clear in the overall digitisation strategy and keeping employees informed and involved. What’s both exciting and perhaps a little scary to some, is how digital transformation will change the way we work and live. Disruption has been ongoing for the last few years and will only intensify down the line. We see this most evidently in the retail space where it used to be that traditional retailers saw online retailers as competition but today, the lines are blurred – retail stores have digital presence and online sites have been setting up brick-and-mortar stores. At the end of the day, it’s about creating better customer experiences both online and offline by optimising omnichannel shopping experiences, from chatbots right down to easy checkout payment options. What is seemingly a challenge can also be an opportunity for any service provider along this entire retail, payments and customer journey. One of the biggest challenges of our time is that the combination of digitalisation, artificial intelligence, machine learning, automation and robotics is destroying old jobs faster than the creation of new ones. We always imagine what the future will look like when there is pervasive digital transformation in companies and countries. This will help to design concepts and create ideas that cater to the future customer’s journey, thereby transforming and building the business for the future. Prepare yourself - automation and robotic technologies are continuing their march (or in this case, flight) into our everyday live..
A brand new award will celebrate Hong Kong’s top media companies and their work across the fields of content, client engagement, n..